Now under its umbrella (besides its theme parks): ESPN and studios like Marvel, Pixar, and Lucasfilm; plus the addition of the 20th Century Fox studio (which claims everything from the X-Men, Alien, and Simpsons franchises to This Is Us and Modern Family); Blue Sky, the animation studio behind Ice Age; the National Geographic and FX cable networks; and Fox's 30% slice of Hulu, giving Disney a controlling 60% stake, reports NPR. The size of the acquisition: It's the biggest ever for the 96-year-old Disney, far outpacing the $19 billion buy of Capital Cities/ABC in 1995 that got it ESPN; in today's dollars, that was a $32 billion deal. Why it needed it: To help convince you to pay for yet another streaming service. Disney+ is slated to launch later this year, and this gives Disney much more content to work with as it goes up against the likes of Netflix, Amazon, and Apple. It's not alone in this effort. The AP notes AT&T's $81 billion acquisition of Time Warner in 2018 got it channels like TBS and TNT, which it used to launch the $15-a-month streaming service Watch TV. What's left of Murdoch's Fox: The newly minted Fox Corporation will encompass Fox News, the Fox broadcast network, local Fox stations, and the FS1 sports channel. Bloomberg reports Murdoch's cut of the deal is $12 billion, but that money is set to go to his six kids, enshrining them as billionaires. The impact on the industry: Here's the Times' take: "The ripple effects may not become clear for years. 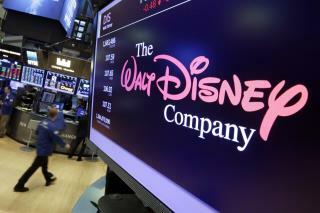 Analysts say that Disney could force smaller studios to merge as they scramble to compete. It will have greater leverage over theater owners when it comes to box office splits. And Disney’s plans to use Fox content to forcefully move into streaming could slow the growth of Netflix." From a jobs perspective, it's not great: Thousands of jobs are set to be shed. The Times puts the number at 3,000-plus; the Hollywood Reporter cites a 4,000- to 10,000-job range. An interesting possibility: Disney's acquisition brings it Fox Searchlight, which claims Best Picture winners like 12 Years a Slave and The Shape of Water. Disney has never won the Best Picture Oscar; that could finally change, reports the AP. "Bloomberg reports Murdoch's cut of the deal is $12 billion, but that money is set to go to his six kids" Umm, didn't 'ole Murdoch once say that he planned on giving the vast majority of his wealth to charity upon his death?
" o/~ It's the Fourth Reich after all/ It's the Fourth Reich after all/ It's the Fourth Reich after all/ It's the Fourth Deutsch Reich! o/~ "